The house is equipped to a high standard with a mixture of antiques and quality furnishings, duvets and blankets, electric blankets etc. There is a stereo, television, DVD player and video, with a selection of CDs and films. 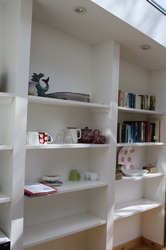 There is also a range of books and games. 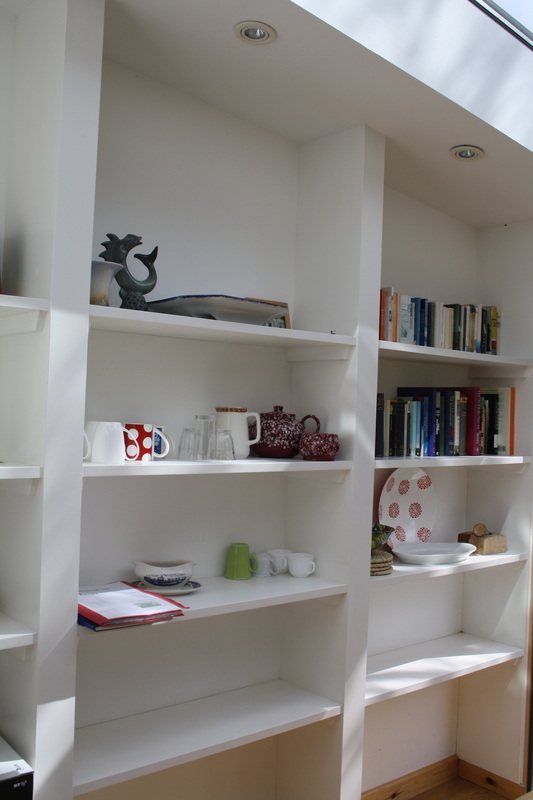 Apart from the Rayburn and open fires, there is background heating provided by electric storage heaters. 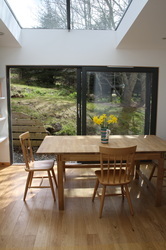 We recently extended the kitchen, adding a sunny dining area that opens onto the garden through large sliding doors. 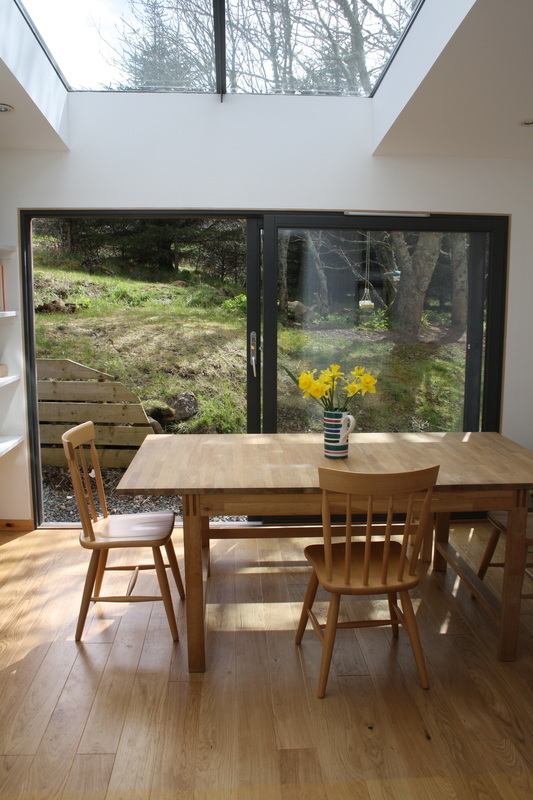 The extension, designed by an acclaimed Skye architect, also includes essential extra wellington boot storage, a utility room and a shower room. Guest comment, September 2013: Since our holiday to Skye in September 2013, we have recommended 6 Knott to many of our family and friends. We couldn't have asked for more from a holiday. 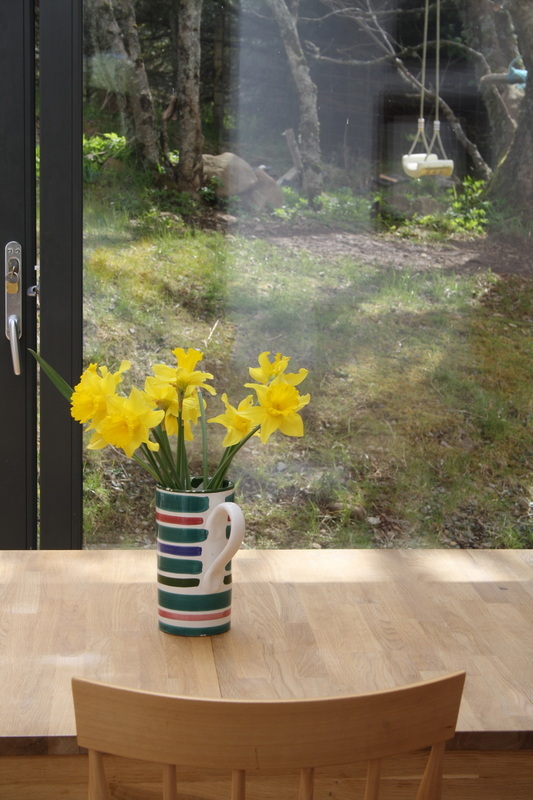 6 Knott itself is a wonderful place to stay - the house is comfortable and welcoming and the owners have provided everything you could possibly need for your stay. 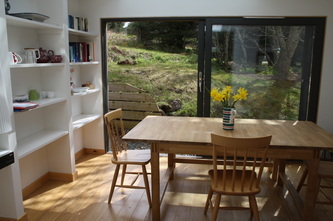 The house is easy to find, in an ideal location near Portree and Dunvegan. We explored the island every day and loved returning home to relax in front of the fire. We'll definitely be returning to 6 Knott in the future! 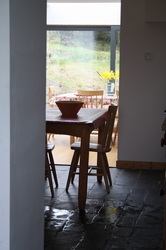 The kitchen has a Rayburn, which can be used for slow cooking, or leaning against.... It also heats the hot water, ensuring there is always plenty available. 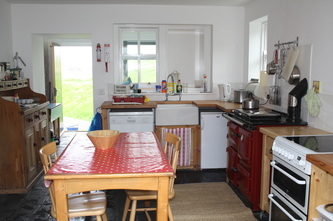 We also have an electric cooker, dishwasher, fridge etc. The utility area has a washing machine and dryer.